In addition because of the Server changes back to the old spot positions: The Raw Material Spots on all Prime Root Maps have been restored to the old values pre change. Remember anyone who registers on this site, can add spots to the maps. Please use the info field to enter the Quality and lvl of the material ex: (Q200 Supreme, or Excelent etc.) Please also remember to not use the zoom function of your browser, cause this would mess up the coordinates. Please Upload screenshots of Encyclopedia entrys that are new or need to be updated. I need English, German and French pictures. Please check if the corresponding NPC�s are allready added to the DB and Map, if they are not please add them yourself. You can also upload pictures of everything else that need to be added to the database, including of Outposts, Tribes, Bandits that have no mini pic on the map. Please name the pictures with the Tribe, Bandit, Outpost Name. Endlich! Mit Hilfe von Bonny ist es gelungen, dass alle Karten und Mat Spots wieder funktionieren! Zus�tzlich wurden aufgrund der Server�nderungen und zur�cksetzen der Mat Spots auf die alten Positionen, alle Mat Spots auf den Prime Root Karten auf die alten Werte zur�ckgesetzt. Denkt daran jeder der sich auf dieser Seite registriert, kann den Karten Spots hinzuf�gen. Bitte nutzt das Infofeld um dort die Qualit�t und das lvl des Materials einzutragen z.B: (Q200 Supreme oder Excelent etc.) Bitte denkt ebenfalls daran, nicht die Zoomfunktion eures Browsers zu verwenden um Spots einzutragen, dies w�rde die Position des Spots verf�lschen. Bitte uploaded screenshots der Enzyklop�dieeintr�ge die neu sind oder ein update ben�tigen. Ich brauche englische, deutsche und franz�sische screenshots. Bitte �berpr�ft ob die zugeh�rigen NPC�s bereits in der DB und Karte eingetragen sind, falls nicht, tragt sie bitte selbst ein. Ihr k�nnt ebenfalls screenshots von allen anderen Sachen die in die Datenbank sollen hochladen. Vorallem bilder von Aussenposten, Tribes und Banditen die noch kein mini bild auf den Karten haben. Bitte benennt die screenshots mit den Namen der Tribes, Banditen und Aussenposten. Merci aux Bonny, gr�ce � qui toutes les cartes sont fonctionnelles et les spots � jours. La restauration des donn�es du serveur avait remis les anciennes positions des spots. Les positions des Mati�res Premi�res des diff�rents territoires des Primes Racines sont maintenant remises � leurs valeurs correctes. Nous rappelons que toute personne inscrite sur le site peut ajouter des spots sur la carte. Utilisez le champs "informations" pour saisir la qualit� et le niveau des mat�riaux (ex : q200 supr�me, ou excellent, etc...). N'utilisez pas la fonction zoom de votre navigateur web, cela pertuberais les coordonn�es des spots. Merci �galement de charger des captures d'�crans des entr�es des Encyclop�dies qui sont nouvelles ou qui n�cessitent d'�tre mise � jour. Nous recherchons les versions anglaises, allemandes et fran�aises. Pensez � v�rifier si les NPC correspondants sont positionn�s sur la carte et dans la base de donn�es, et de les y entrer le cas �ch�ant. Vous pouvez �galement charger des captures d'�crans de tout autre �l�ment � ajouter dans la base, y compris les Avant-Postes, les Tribus, les Bandits qui n'ont pas de miniatures sur la carte? Pensez � nommer les images avec le nom de l'�l�ment en photo. English: The Raw Material Spots on all Maps have been deleted cause of the changes ingame. Now i need your Help, anyone who registers on this site, can add spots to the maps. Please use the info field to enter the Quality and lvl of the material ex: (Q200 Supreme, or Excelent etc.) Please also remember to not use the zoom function of your browser, cause this would mess up the coordinates. German: Die Rohmaterial Spots, wurden aufgrund der �nderungen im Spiel, von allen Karten gel�scht. Jetzt brauche ich eure Hilfe, jeder der sich auf dieser Seite registriert, kann den Karten Spots hinzuf�gen. Bitte nutzt das Infofeld um dort die Qualit�t und das lvl des Materials einzutragen z.B: (Q200 Supreme oder Excelent etc.) Bitte denkt ebenfalls daran, nicht die Zoomfunktion eures Browsers zu verwenden um Spots einzutragen, dies w�rde die Position des Spots verf�lschen. French:La dame, elle nous dit que les cartes de mps ont �t� supprim�es car les spots ont chang�. On peut aller sur http://ryzom.silenda.de pour ajouter les nouvelles coordonn�es en indiquant la mp, la qualit� et le type (sup, xl...) et de faire atteion � ne pas utiliser le zoom du navigateur pour ne pas introduire des coordon�nes �ron�es dans la base . ! Registered users can now upload files again. Also a small reminder, please do not use your browser zoom to add spots to the map, if you do the spot will be outside of the map, the zomm messes up the coordinates! First let me thank Darla / aka Piece for his incredible work over the years to build this Project. And also i have to thank him, to hand over everything to me, so i can now host and develop this Project further. 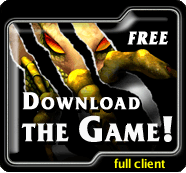 I Hope you all will enjoy this site and help to make it (again) the best ressource in the Web for the Saga of Ryzom. If you encounter any Bugs or have Questions please feel free to post in the forums. Spread out the Word RyzomDB is back online! This website may be unavailable in the next few days. We've got a new (temporarily) address. Added French Language. I don't understand a word french, so please let me know if you find errors in the translation. Item-Mat-Browser and Encyclopedia are not fully translated yet. The french translation is almost done. However i don't have the time to write down all text from the encyclopedia. If you want to help out please send me the texts via PM or post it in the forum. Thanks. Registered users may add spots to the maps and edit / delete their own. Get to work girls 'n boys! I'm planning to create a section for that. But since there are thousands of missions to check, i can't do that alone of course. So i ask u to send me screensshots of your encyclopedia, so i can create a complete collection of all missions needed. you can upload them via the upload section in the database. Worked a little on the map section. Check it out. Please post additions and errors in the forum. 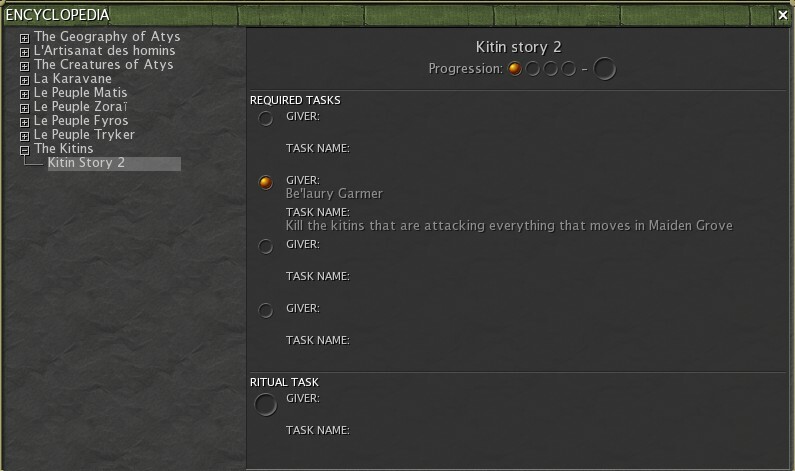 Added a NPCs section in the datebase. Feel free to fill in any NPCs you find on your voyages. Dies ist keine offizielle Ryzom-, Nevrax- oder MDO-Website !!! Das Copyright f�r die Icons und Daten liegt bei Nevrax. Nevrax, das Nevrax Logo, "Ryzom" und das Ryzom Logo sind Warenzeichen von Nevrax. Betreten der Baustelle (Website) auf eigene Gefahr !!! 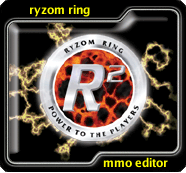 This Site is NO Offical Site of Winch Gate Property Limited, The MMORPG Ryzom, Ryzom Ring (R²) or any other Ryzom Services! © Ryzom and the Ryzom logo (including R² and other services) are trademarks of Winch Gate Property Limited, or are published under GNU FDL. © Winch Gate Property Limited, All Rights Reserved.